You've asked, so I'm telling. You wanted to know, what sells in antique stores? There's no universal answer, but to satisfy your curiosity, I'm posting my exact sales for you to make your own determinations and theories on sales trends! Go here to see what sold from January to March. 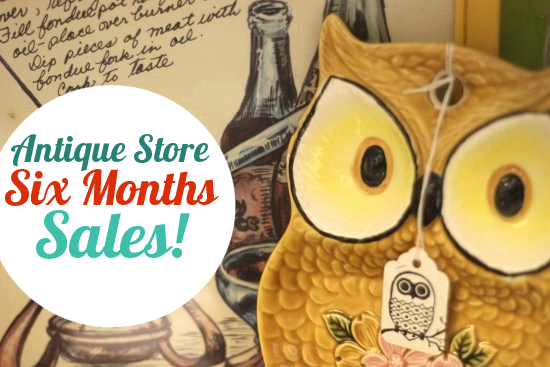 June: Better month, unexpected sales! Remember that I pay $37.45 to rent my space, so my profit margin is very small. For April I didn't make a profit at all! Also, I don't have the original prices of items since I just started tracking that recently. I have a general idea but those are just estimates. My Efforts Aren't Full Time: I only have time to visit my booth twice a week for a few minutes to add merchandise and rearrange the space. However, I won't let low profits go on forever! Right now I'm creating grab bags, crafts, and art prints that will increase profits. This Pays Me in LESSONS: I haven't made a huge profit from this, but the experience is invaluable. I'm analyzing sales trends and learning retails lessons the best way, by doing. It's been a worthy investment of time and energy, and I only see myself increasing profit and learning more from here. Next week I'll answer your specific questions about sales trends and personal successes. How are your reselling efforts going? I notice that the more I put into my reselling, the more rewards I reap. If I list a bunch of stuff on ebay or consistently list a few items, my sales increase. I just rented a booth at a flea market/antique store and am working through that type of venue. Your blog is encouraging and a source of inspiration. Thanks for sharing! Tonia: It's interesting to see how sales differ from region to region. Here in the South it's impossible to make liveable sales from flea markets! Wendy: You're right, it's a fun side gig even without big profit! But I -am- going to work on improving those numbers! Thanks for the insight, Van. I've often consider renting a booth at a local shop but the rents are typically in the $200 range, which is tough to swallow! How are you doing with online sales? Any luck there yet? Brian: I couldn't justify $200 for an experiment, either! Online sales don't fare so well either, but I'm working on scheduling time to list items and promote more on that end, too. Into Vintage: I don't have an Etsy shop yet, I'll be opening it this weekend and I'll work on promoting it + work out a schedule to keep it updated consistently. It's all about finding time to keep it all fresh and update, like you said! The Vintage Bug: Like you, I'm told I'm doing well for a beginner. I'm even moving up a space because I was told I have repeat customers who seek my kitschy-fun style. From here I think the answer is making more lower-priced items. I'm fleshing it all out, slowly but surely! Good luck on your reselling adventures! 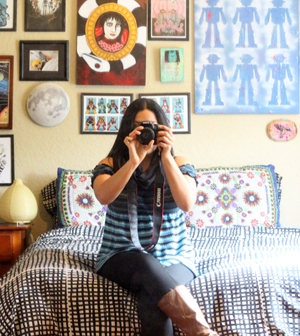 I just blogged about my new booth today! It's definitely been a learning process...and I was thrown into it! A lot of the principles are the same...online and off...so the information gleaned is priceless! The Recycle-ista: Thanks for sharing your story, I loved reading it and learning about your experience. And I'm jealous of your big booth, one day I'll rent a space that large...One day! Thank you for being so open and honest about not being perfect at everything yet! And also for being okay with that. More than okay - happy! I bit the bullet and set up an Etsy shop. I love it! It gives me something to obsess about. Also, it's a whole heck of a lot cheaper than renting out a booth in my area. And...I got my first sale! Within the first 48 hours of opening my shop, too. I was expecting to go at least 3 months before a sale. The really cool thing is that I bought the item (a retro camera case) for 59 cents, and I sold it for $14.99. The icing on the cake was that inside of the camera case was an unopened pack of polaroid camera bulbs (which run around 15-20 bucks on ebay), and they didn't charge me extra. Thrifting is fun :) Thanks for your advice! Keep it up! cart-wheels: Sometimes you have to work your way up! It's better to keep working at it and putting ourselves out there than to give up! Dani: Congratulations on your new shop and sale, and I love the name! Very clever!